Dr. Winston C. Y. Yu is a distinguished alumnus of the College of Agricultural, Food, and Environmental Sciences, earning his doctorate in animal science in 1979. Dr. Yu spent 16 years at the University as a student, postdoctoral fellow, and faculty member. He has described his time at the University as a memorable and critical period in his life. When Dr. Yu began his Ph.D. program, social unrest and protests surrounding the Vietnam War enveloped the campus. Dr. Yu credits this pivotal grassroots political experience with teaching him the value of democratic freedom, leading him to be very active in Taiwan society and government policy. He also credits his education, training, and teaching experiences at the University as his best preparation for the challenges he faced when he moved back to Taiwan. Since his return to Taiwan, Dr. Yu has held prestigious leadership positions, including as an investigator at the Institute of Biomedical Sciences (IBMS) in Academia Sinica, which he helped to found. Through his outstanding leadership, IBMS developed into a first-rate biomedical research institute in less than a decade. 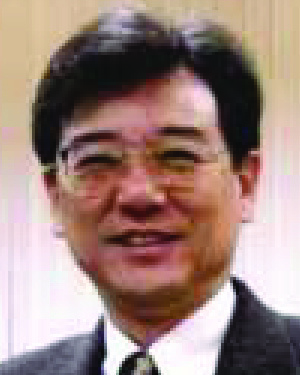 In 1995, Dr. Yu was recruited as secretary general of Taiwan’s new National Health Research Institute (NHRI), which was modeled after the National Institutes of Health in the U.S. Dr. Yu formalized the organizational and administrative infrastructure of NHRI and drafted the essential documents for its scientific and administrative operation and its human and physical resources. The NHRI started with only a few personnel and now has developed into a leading research organization with more than 700 employees. Dr. Yu continues today as an investigator and secretary general for the NHRI. His main interest as an investigator has been the control of the human papilloma virus gene expression and its close ties to inducing cervical cancer. Throughout his career as a cancer researcher, he has made significant contributions to the fundamental research of cervical cancer and has published many important papers. In naming Dr. Yu as a recipient of the Distinguished Leadership Award for Internationals, the selection committee cited his roles as a highly respected scientific leader, a brilliant administrator, a dedicated public servant, and a scientific statesman.